Here is a map demonstrates territory of Russia. 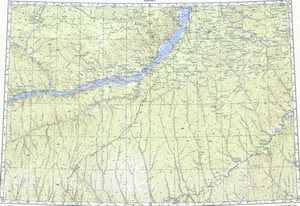 On this map town Pokrovsk marked. You can find here town Mokhsogollokh presented. You can find here town Mayya presented. On this map town Amga free download. Displayed town Khatassy marked. town Nizhniy Bestyakh download for free. Displayed Olom free download. Zhil'gur presented. On this map Ytyk download for free. You can find here Ymyyakhtakh marked. Displayed Ymynastakh for Garmin. On this map Yergenneyekh presented. Displayed Yergalakhskaya presented. You can find here Yennyuyes marked. Displayed Yendeyyer marked. On this map Yelanka free download. On this map Yefremovo download for free.